On March 25, 2019 WalletHub, a consumer-finance research website, released a report which ranked Illinois as the 40th best place to practice medicine in the United States. Researchers analyzed all U.S. states and the District of Columbia across two key dimensions, “Opportunity & Competition” and “Medical Environment” and then evaluated those dimensions using 18 weighted metrics, graded on a 100-point scale, with a score of 100 representing the most favorable conditions for practicing doctors. 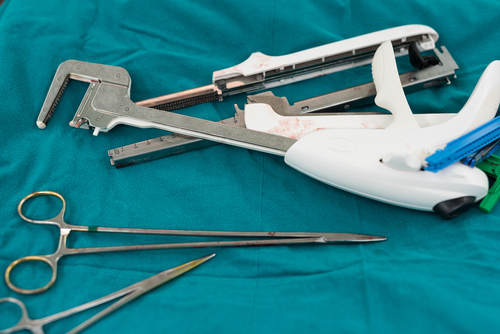 Everyday medical devices such as surgical staplers can be beneficial tools and aid procedures in both time and recovery when used correctly. But after the U.S. Food and Drug Administration (FDA) reviewed an increasing number of reports in line with the use of these common devices, the need to update safety recommendations and remind medical providers of the risks associated with the devices’ safety became correspondingly apparent. An American Journal of Emergency Medicine study found an emergency room doctor will make approximately 4,000 computer clicks related to electronic health or medical records (EHR) over the course of one single shift. Although the evolution of a medical record turned electronic has been positioned to save money, eliminate mistakes in medicine and bring higher-quality and transparent care to patients, the painful truth and untruths of EHRs and related technologies continue to be known as physicians express angst and sometimes fear of using the systems. Today, 96 percent of hospitals have adopted the patient and medical care tracking technology so there is no doubt room for user error sits ever-so present for billions of Americans, putting them at risk for death and serious injury. Software glitches and other flaws can also go unseen and contribute to disastrous patient safety and privacy issues. Many people who have the beginning signs of dementia or Alzheimer’s Disease may be elderly, frail, and have other underlying medical concerns which land them in an emergency room. Their confusion can trigger accidents due to mobility or unsafe environments, and forgetfulness leaves them prone to higher personal injury rates, dehydration and malnutrition, or medication under and overdoses. But despite the higher trends of patients arriving to the ER with memory and confusion related disease symptoms, too many emergency rooms are not equipped to manage them. As our country’s population continues to grow in the number of people that are affected by Alzheimer’s disease and other types of dementia, the need for better health care services will expand as well. Until then, family members will have to stay vigilant in protecting their loved ones. An Ohio hospital system has been at the center of intense scrutiny after one of its former intensive care doctors is said to have ordered “significantly excessive and potentially fatal” doses of “comfort” pain medicine for at least 27 near-death patients over the course of several years. One family is suing the health system as well as the doctor, pharmacist, and nurse responsible for allegedly giving an improper dose of fentanyl to their 79-year-old family member even though they had asked that lifesaving measures be stopped. Fentanyl, also known as Actiq, Duragesic or Sublimaze, is an especially potent painkiller used to treat extreme pain. According to the Centers for Disease Control and Prevention (CDC), strains of fentanyl can be up to 50 times more powerful than morphine. Although the hospital, part of the larger Mount Carmel Health System, has since acknowledged the doses in many similar patient cases were larger than needed. A legal team will now investigate as to whether the acts were intentional, and if the lethal drugs were possibly used improperly to accelerate the patients’ deaths. The story of Sgt. 1st Class Rich Stayskal, as published on January 14, 2019 in Stars and Stripes, an independent news source to the U.S. military community, is tough to get through. Stayskal is a former Marine who later became a Green Beret but is now battling a terminal stage IV metastatic lung cancer. The husband and father of two says his military doctors missed a diagnosis opportunity that could have saved his life in 2017 when he first presented symptoms and a scan showed the illness. But unlike similar malpractice claims patients can bring against the private medical community, Stayskal can’t do much because of a military rule known as the Feres doctrine. Feres prohibits military servicemembers from suing the government and is a rule that can only be changed via an act of Congress or a ruling by the Supreme Court. The rule, which has been upheld for more than 68 years, was meant to maintain a “no-fault” compensation system in the military where combat-related deaths and injuries are possible. A recent investigation led by the Milwaukee Journal Sentinel, USA Today and MedPage Today found that even when surrendering a medical license because of unprofessional conduct such as sexual assault, medical malpractice or prescription abuse, physicians simply leave their bad history in one state and move their practice to another while continuing to make deadly mistakes as risky medical experts. Equally disturbing is that if a physician voluntarily surrenders his license, the public may not ever be able to access or gain knowledge about why the surrender occurred. Although the National Practitioner Data Bank has more than 1.3 million records of “adverse actions” going back to 1990, files can only be accessed by hospitals, insurers, and state medical boards. Individual states can file a complaint, but only if prompted to inquire of a physician offender’s harmful patient history. Burned By a Doctor During Surgery? Unfortunately, medical mistakes and their related injuries remain all too common for today’s everyday patient. One largely preventable mistake some may not think of is a surgical burn. These injuries are likely to occur when a person is under anesthesia for a routine operation or reconstructive surgery and can range from first to fourth degree burn injuries as a result of a medical professional’s negligence or medical equipment or device failure. Burns are most often caused from an electrical, transferred heat, laser or other surgical equipment thermal burn immediately once contact is made with the patient. Patients may wake up from a surgery focused on an internal organ and find they are also being treated for a skin burn to their lower extremity, the most common area for surgical burns. While some burns can be treated in an outpatient center many others may require ongoing therapy and painful reconstructive surgeries. A jury voted to award $12 million to the family of Doris Newberry after her death following a failure to diagnose and treat her lung cancer. Her family, with the help of Levin & Perconti attorneys John Perconti, Michael Bonamarte and Cari Silverman, were able to prove that the defendants — including family practice doctors Dr. Iza, and Dr. Jeffrey Lindahl of Alexian Brothers Medical Group, as well as radiologist Dr. Jeffrey E. Chung, of Radiological Consultants of Woodstock — failed numerous times to appropriately diagnose and care for Newberry’s cancer. As a result, she experienced pain and suffering and disfigurement, and an untimely death, which could have been prevented had her cancer been diagnosed following a 2010 X-ray which revealed a lung abnormality. Iza saw Newberry several times between June 2008 and August 2010, including an August visit following a July 2010 chest X-ray that showed abnormal findings.